I had a friend who kept telling me to watch Petfooled, watch Petfooled, did you watch it yet?… watch Petfooled. Naturally, I ended up doing just that, and I highly recommend this documentary. You can check it out on Netflix. 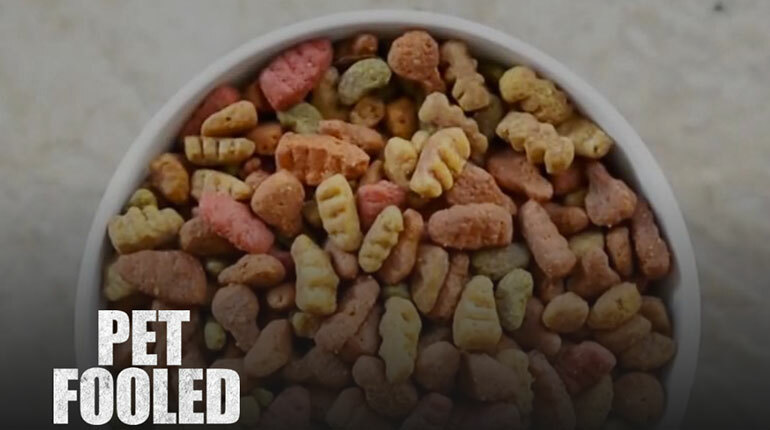 Though not terribly surprised by the crap we we feed our pets, I was surprised by the lack of regulation, the words the industry gets to use (“natural” and “organic” do not mean what you would assume them to), and just seeing the mounds of caracasses that ultimately become kibble (road kill is an acceptable ingredient too) made me shudder at the thought of feeding my pets their dry food. So then, what’s a girl to do? Google. Amazon. And viola! 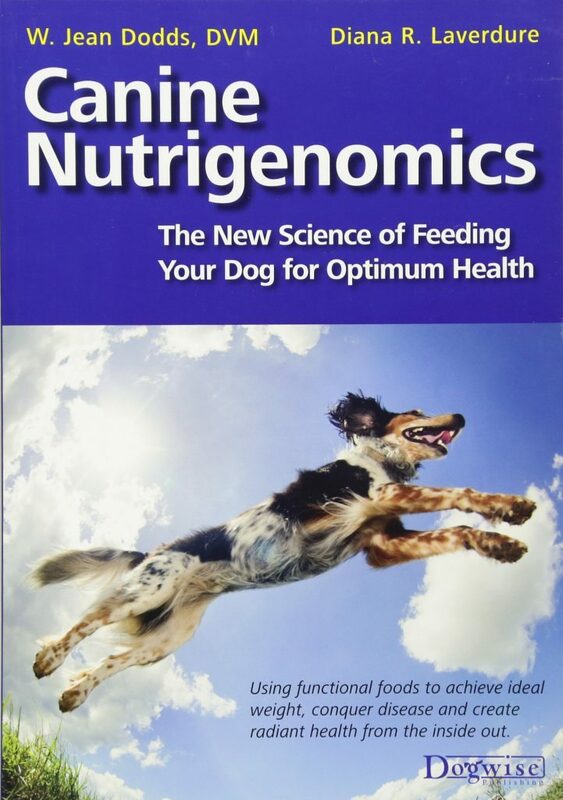 After much deliberation, poking around and reading, I found the path forward for us: Nutrigenomics. Nutrigenomics is the scientific study of the interaction of nutrition and genes. You can use Nutrigenomics to prevent and treat disease. Ever feel like you wanted to feed your dogs something better but were scared, or didn’t trust yourself to be in charge of their nutrition? Fear no more, and also know that it is NOT HARD. You need to learn a few things, but the rewards are AMAZING. I write this article as I am about to hop on a plane, so I won’t get into a review of the book just yet. You can click on the book below to check it out on Amazon. On the scale of herbivore to carnivore, I hover towards the vegan end of the spectrum. My daughter, Jade hovers at the “vegetarian” mark. I know and respect that dogs are carnivores, so though it’s odd to be out buying free-range organic ground turkey, etc, for us, it’s the better way… the better and betterer lifestyle applies to the primates, canines, and felines in my life. While I am cooking their burger, the dogs get to eat (and drink) a few things. Breakfast Part 1 is goat’s milk. The one pictured here has ginger and turmeric added. Breakfast part 1: goat’s milk. Theo gets 3 drops of Throat Gold in his. Theodore gets 3 drops of Throat Gold (from PetWellbeing.com) to help his cute little trachea. Part 2 involves oatmeal and blueberries. Though dogs don’t need to eat blueberries, these help them prevent and fight cancer just like they do for us. I also found it is a good place to sprinkle their calcium. I actually make myself a bowl of oatmeal (oats, water, and blueberries) and take out about 4 blueberries for each dog and then sprinkle the calcium on it. Then I add another blueberry and some oatmeal on top. Just like blueberries, cauliflower, broccoli, and carrots have “functional” ingredients. I cook up a big bowl and keep them in the fridge. I have taken to add their fish oil on top of these cool veggies (my dogs each get .5 mL a day). With the burger still cooking, I let the dogs have their veggies. Bella is throwing our her best trick (meerkat) because she is so excited. Theo is showing off his good manners as well. They <3 their veggies…. Divide and conquer…. Once the burger is done, I cut it up and make sure it is cool. Then I hand feed these piece to them (sorry Jade). I hand feed them… making sure the meat’s not too hot…. Their manners game is ON. PS I forgot to mention they are learning to patiently wait for their burger to cook. Bella has this down. I click and give her cauliflower. Theo is catching on… When they are both being perfect I call them over for goat’s milk. I typically do the calcium, fish oil, and Throat Gold in the AM. Dinner is then 1/2 burger each plus some veggies. I mix it up though. Sometimes they get a little big of egg, and I also like the unsalted, wild Alaskan Salmon (in water) that Trader Joe’s sells (human food). I add the fish oil on top of the salmon sometimes. I also mix the salmon into an egg, or even into a chicken or turkey burger. Mixing it up is part of the Nutrigenomics system, so be sure to check out the book to learn more.